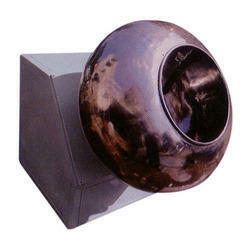 Prominent & Leading Manufacturer from Noida, we offer chocolate coating machine and coating pan handa mixer. With a far sighted vision and a keen perception of the ongoing market trends, we are highly engaged in providing a quality proven collection of Chocolate Coating Machine. These products are widely known and appreciated in the market for its quality and fine finish. Offered products are available with us in different sizes and designs to meet the varied requirements of the customers. 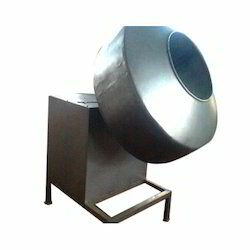 We are one-step ahead from other companies of this domain, involved in offering an assorted range of Coating Pan Handa Mixerto our customers. These are extensively demanded by various clients. These products are acclaimed as one of the most quality approved items in the industry. Besides, these products are perforated to ensure better performance and long term finish.